Wounds either acute, postsurgical, or chronic are a growing area of palliative care practice and it is important to review the current methods of management and developments in diagnosis, assessment, and treatment. The aim of this chapter is to explain how wounds heal, what impacts on healing and how to deal with the specific issues in palliative wound care. Wounds are either acute or chronic in nature and the approach to each type can be different. Involves the apposition of the wound edges and the reunion of tissue structures and should result in minimal scaring. Open, gaping wounds where there is loss of tissue, or infected, closed wounds heal by the formation of granulation tissue (vascular and fibroblast proliferation) which fills the defect and by contraction of the wound edges. Healing by secondary intention is slow and can result in a large distorted scar. Healing should be considered as a continuum of the three phases of wound healing: inflammatory (destructive), proliferative (regenerative), and maturation (reparative). Each phase continues on in a steady process merging with the next phase and one wound may be in more than one phase at one time. During all of these phases, there are a number of cells that are essential to the process of the healing including platelets, neutrophils, macrophages, and fibroblasts. The inflammatory phase is normally the shortest, and is manifest at the beginning of the wound itself where a wound is either surgically created, caused by trauma, or some other reason. There will be bleeding, and a clot will develop to induce hemostasis. The tissue around the wound may often be red, hot, sore and swollen. This does not indicate infection, it is merely the inflammatory process itself; consequently, it is not always necessary to apply topical antiseptics or topical antibiotics. Wound exudate is often seen during the inflammatory phase. It is not a passive component of the healing process, but serves to nourish the tissues and to flush out necrotic tissue and foreign debris from the wound. The continued presence of foreign material, necrotic tissue, or even excessive antimicrobial use or other continued disruption of the wound can result in prolonged inflammation thereby preventing the onset of proliferation and maturation; this may lead to fibrosed tissue. At this stage, one of the most important cells are the platelets whose task is not only hemostasis, but also the production of a growth factor. Neutrophils, are also involved, in the phagocytosis of bacteria as well as aiding in the extracellular release of protease – an enzyme used by the body for the destruction of necrotic tissue (Sussman 2001, 2014). During the proliferative phase, the new vascular bed is formed by angiogenesis. Capillary buds are formed which link up with the existing capillary network and allow oxygenated blood to provide a lush bed of capillary vessels. During the proliferative phase, collagen is deposited by the fibroblasts and forms the essential framework for the connective tissue which will eventually fill the wound. Fibroblasts also synthesize proteoglycans or ground substance, and it is collagen and ground substance which form the scaffolding for wound repair. The collagen then realigns itself by cross-linking, resulting in an increase in the tensile strength in the wound. There are a number of elements essential for collagen production and deposition including vitamin C, oxygen, iron and zinc. A deficiency in these nutrients could lead to the development of a weakly bonded matrix, and ultimately to dehiscence of the wound. During the proliferative phase, wound contraction occurs. This is an action of the myofibroblasts, contractile cells which pull the wound margins together. Contraction and granulation are the processes by which the wound becomes smaller. During the latter stage of the proliferative phase epithelialization occurs, involving the growth of the epidermal cells over the surface of the granulation tissue, a process which is completed most efficiently in a moist, clean environment. The major objective is to facilitate optimal healing (that is, with as little scar tissue as possible, with a good cosmetic appearance). Therefore, to treat an acute wound, you should first ensure it is clean and then, if necessary, the wound edges should be held together by sutures or tape, and finally an appropriate dressing applied. Medical intervention may be necessary if there is a possibility of tetanus spores or other foreign bodies being trapped in the wound. For contaminated wounds, closure is not recommended since the risks of infection and breakdown are considerable treat as a delayed primary closure – cover with sterile dressing for approximately 4 days, then treat as a primary wound. The management of the wound environment is now based on the concept of wound bed preparation (WBP) interventions, which address debridement, bacterial balance, exudate management, and the local tissue in the wound environment. These important assessment elements have led to the development of the concept of the TIME principles (Tissue, Inflammation/Infection, Moisture, Edge/Epithelialization). This simple principle enables a wound to be assessed for most of the important aspects of the wound; this enables the health professional to consider the factors for healing or delayed healing and what must be considered in the choice of treatment (Leaper et al. 2014; Schultz et al. 2003). Knowledge and understanding of wounds, tissue, and healing have grown rapidly over the past 30 years, resulting in a major change in the method of wound management. There has been a growing awareness that traditional wound-care products do little to aid healing, and in many cases actually delay it. Traditional theory has always been that wounds should be kept clean and dry so that a scab may form over the wound, the wounds should be exposed to the air and sunlight as much as possible, and where tissue loss is present, the wound should be packed to prevent surface closure before the cavity is filled, and then the wound should be covered with dry dressing. The clear disadvantages of these principles are that the scab, which is made up of the dehydrated exudate and dying dermis, is a physical barrier to healing, which is then delayed because the epidermal cells cannot move through the scab formed and this may ultimately result in a poor cosmetic results even scarring. Exposure to the air reduces the surface temperature of the wound and further delays healing causing peripheral vasoconstriction affecting the flow of blood to the wound. This lower blood flow will also effect the supply of oxygen, nutrition, and other factors to the wound. Air exposure will also cause the wound to desiccate and forma scab. Where a wound is packed with dry gauze, the quality of healing is impaired due to adhesion of the material to the surface of the wound causing it to dry out. Equally covering the wound with a dry dressing that adheres to the wound surface may traumatize the wound surface on removal. Wounds covered by an occlusive dressing do not form a scab, so epidermal cells are able to move rapidly over the surface of the dermis through the exudate which collects at the wound/dressing interface. The application of a totally occlusive or semipermeable dressing to wound can also prevent secondary damage as a result of dehydration. Dr. George D. Winter was able to demonstrate scientifically the difference between wounds of a similar nature when healing was open to the air, and when healing was under occlusive dressing (Winter 1962). The experiment showed that the wounds healing under moist conditions healed 50% faster than the wounds healing under dry conditions, open to the air. Winters work has since formed the basis of the principles of modem moist wound management. Many subsequent studies have confirmed the theory that wound heal faster in a moist compared to a dry environment (Hinman and Maibach 1963; Winter 1962). Moist wound healing also simplifies debridement by assisting in the autolytic debridement of wounds. It facilitates wound cleansing, since the wound exudate is part of the healing cascade. It also protects granulation and encourages epithelialization. It has now been shown to carry a number of growth factors essential to the healing of wounds (Sussman 2014). Wound Assessment is the most important function to enable the clinician to identify both the patient and the wound-specific issues. Disruption of circulation and perfusion impairs delivery of cell nutrients and immune cells (leukocytes, macrophages), which delays wound healing. Note any concurrent illnesses that might have an effect on healing, i.e., diabetes mellitus or atherosclerosis, autoimmune diseases, e.g., SLE (Grey et al. 2006; Sussman 2001, 2014). All these areas should be checked and particular attention paid to the following. A number of medications may impair wound healing, in particular corticosteroids and other immunosuppressive drugs, some over the counter medication, such as NSAID… and complementary medication, including Ginko, may also impact healing. However, this may not be a major consideration in palliative care as the aim is often not wound healing. 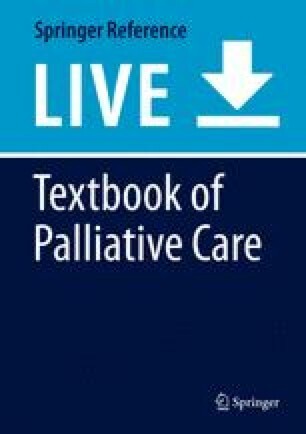 With patients living longer and having earlier palliative care, healing may be an aim/possibility (Graves and Sun 2013; Sussman 2007). Nutrition plays a very important role in tissue repair and wound healing, and patients who are malnourished do not heal well and are at a greater initial risk of developing pressure injuries. It is essential to perform a nutritional assessment examining issues such as weight loss or gain, caloric intake, macronutrients, and hydration. The estimation of albumin level may be helpful – a serum albumin less than 3.5 gm/dl indicates the need for further assessment and action, and a level below 3.0 gm/dl is correlated with poor patient outcomes (Harris 2004; Wild et al. 2010). Wounds in general and leg ulcers, pressure sores, and skin tears in particular are common problems in an ageing population. To fully understand the nature and causes of these chronic wounds, it is essential to consider the main physiological effects of ageing on tissue and the factors that influence healing. The ageing process will impact on most of the structures of skin. Ageing skin loses hair follicles, sebaceous glands that supply natural moisture to the skin, receptors, blood supply, and sweat glands. The result of these tissue changes is that the skin becomes thinner, brittle, avascular, and more prone to injury. Thus, the elderly have thinner and more fragile skin will often present with skin dryness, thinning, laxity, uneven skin pigmentation, and hair thinning, the skin is often tissue paper thin at risk of skin tears (Gosain and DiPietro 2004; Sussman and Golding 2011; Sussman 2016). Although healing may be slower and may be more complex in older patients, it is still important to aim for healing. Patients receiving palliative care are often elderly and have multiple morbidities and wound management should be for comfort, and, if possible, for healing. It is important to continue, to manage and not to just give up small gains can have a significant impact on the patient. As the patient and the family will be caring for the wound at home the support and psychosocial aspects of the patient, within their family, is important. Assessment of their abilities and willingness to be involved is important as coping with a deteriorating family member with a wound is often very stressful (Probst et al. 2013). After patient assessment, the next step is to carefully assess the wound. Wound assessment includes the wound’s etiology, its location and its size and depth. A thorough wound assessment also includes evaluation of the wound bed in terms of type of tissue present; observation of the quality and amount of exudate; and determination of the presence or absence of infection. It also involves assessment of the condition of the peri-wound area and evaluation of any past and current treatments (Grey et al. 2006; Sussman 2001, 2014). It is important to determine if a wound is infected before treatment is initiated. Most chronic wounds with tissue loss are contaminated, but this contamination only becomes significant when local defenses can no longer contain the bacterial growth (105 organisms per gram of tissue). Therefore, culturing is of little use unless true signs of infection are present for although many strains of bacteria will be found this may not be an indication of true infection, only contamination. The classic signs of infection include advancing erythema, fever, warmth, edema/swelling, pain, and purulence (pus). However, these are not always observed and more commonly the signs may be of delayed healing, change in color of wound bed including friable granulation tissue, increased or abnormal odor, increased serous drainage, and increased pain at wound site, these are the secondary signs of infection (International Wound Infection Institute 2016). A large proportion of wounds seen in clinical practice are chronic in nature. The difficulty in the management of any chronic wound is that there is always an underlying physiological cause of the wound which must be treated, but many patients have multifactorial issue and comorbidities. For best results, the basic cause of the problem must be managed, and the negative factors altered. It should be understood that some patients may never heal due to the basic pathophysiology of the disease process and our inability to alter some or all of the major factors influencing the nonhealing of the wound. However, even in the most extreme cases, good wound care can be a great help in minimizing the worst effects of such chronic wounds. Leg ulcers have a number of different causes, including venous insufficiency, arterial disease, diabetes mellitus, vascular complication of autoimmune disease (such as rheumatoid arthritis), malignant disease, trauma, and deliberate self-injury. Part of the diagnosis of a leg ulcer to differentiate the cause is to obtain an Ankle/Brachial Index (ABI) – this compare ankle systolic pressure with brachial systolic pressure with a normally ratio should = 1 ABI < 0.8 implies arterial insufficiency. If ABI < 0.7 no compression should be applied. The result can be > 1.2; this is due to pain at site, incompressible (calcified) vessels. Venous ulcers result from the breakdown of the venous circulation of the leg and are an association of the inability of the leg to force the passage of blood through the various connecting veins via the bicuspid valves by muscular contraction. They are most often found in the lower one-third of leg, in the gaiter area, are usually irregular in shape, not painful, and edema is often present. The skin is often stained and also has changes, e.g., eczema, atrophy blanche (white stippled scars on the skin), and there is a history of varicose veins, obesity, past DVT, poor mobility resulting in venous stasis. Venous leg ulcers are usually often painless, irregular shape, and there may be copious exudate. As venous incompetence is often the main cause of the ulcer treatment is the application of compression therapy toe to knee 30–40 mmHg at ankle. It is, however, essential to exclude arterial involvement before commencing compression.. It is important to encourage exercise and address occupational factors such as long periods standing that lead to venous stasis. Leg ulcers may also result in patients with lymphedema, caused by a reduction in the function of the lymph vessels to drain extracellular fluid. The resultant edema will place the patient at risk of ulcer development as a result of minor trauma and by the hyperkeratotic nature of the skin (Alexander House Group 1992; Sussman 2014). The management of venous and lymphatic ulcers will depend on the depth, exudate level, and if infected. Table 1 list the appropriate products depending on the wound. If the wound is infected, then Table 3 lists appropriate management. The death of skin automatically follows occlusion of its arterial blood supplies unless this is gradual enough to allow a collateral blood supply to be established. Atheroma (thickening) is the most common cause of arterial ulcers of an ischemic nature. The loss of arterial circulation may be also due to extramural strangulation, with scar tissue or other factors causing strangulation of the arterioles, or fibrosis resulting from longstanding, chronic edema, or chronic infection may also obstruct arterial flow. Mural changes (to vessel wall), Atherosclerosis (deposits on the wall surface) caused by plaque formation reducing blood flow until thrombosis, embolism, or infection cause complete closure. Intramural occlusion of small vessels by changes in blood viscosity, platelet adhesiveness, and fibrinogenesis (especially in small painful ulcers of the feet and ankles). Arterial ulcers are very painful, especially at night. This pain is observed in both small and larger arterial ulcers. Their edges are sharply defined and the ulcer is “punched out.” The base is often covered with slough. This may deepen to bare the tendons. There is usually a history of intermittent claudication (pain on exercise), dependent foot (dusky foot) white on elevation, a history of peripheral vascular disease, lower ABI, weak/absent pulses, sluggish/poor capillary refill. The ulcer site is usually below ankles to toes, the skin is often shiny and friable. Uncontrolled diabetes and smoking are significant factors causing arterial insufficiency. Healing is often slow and may depend on control of the underlying cause. Treatment of arterial ulcer may involve a surgical opinion – angioplasty, stenting, bypass grafting, and ultimately amputation. Pain control is an important aspect of the management of arterial ulcers (Hopf et al. 2006; Sussman 2014). In addition, for the wound itself Tables 1 and 2 lists products for management. It is important to note that between 10% and 15% of leg ulcers are of mixed etiology. These ulcers are often hard to heal due to associated edema, cellulitis, thrombophlebitis, diabetes, or underlying vascular disease, rheumatoid diseases especially in bedridden patients, general conditions of the skin in elderly patients which is often associated with malnourishment (Humphreys et al. 2007). In addition to the more common forms of ulceration, there are a number of less familiar causes. Vasculitic ulcers may develop as a result of other medical conditions, such as rheumatoid arthritis and polyarthritis. Infections of the skin can produce ulcers especially if necrotizing bacteria are involved and skin conditions like pyoderma gangrenosum and epidermolysis bullosa (Sussman 2001, 2014). These autoimmune and inflammatory wounds are managed by immunosuppression and topically with hydrogels and secondary dressings. Pressure injury is the most preventable of all of the chronic wounds – see chapter Pressue Injury. Pressure injury may be as simple as the blister which occur from footwear to the extensive pressure sores experienced by bedridden patients suffering from stroke, spinal injury, multiple sclerosis, dementia, and receiving palliative care. The capillary pressure in the arterial blood system is some 32 mm of mercury. It therefore requires a pressure of only about 30 mm of mercury to restrict the arterial blood flow. The consequence of this restricted blood supply is a reduction in oxygen supply and nutrition to the tissue, accompanied by the problem of waste products not being removed from the site of the wound. The result of this is hypoxia, tissue acidosis, increased capillary permeability, which allows intravascular fluid to escape causing edema and cell death. Direct pressure on tissue over a bony prominence in excess of 30 mm of mercury will cause ischemia in the surrounding tissue. This will occur not only from a patient being in bed but also on a trolley or sitting in a chair. The extent of tissue damage will depend on the intensity of the pressure and the length of time the pressure remains unrelieved. The tissue can tolerate pressure for short periods of time. However, even low pressure over a long period of time will have some detrimental effect. Friction occurs when the top layers of skin are worn away by continued rubbing against an external surface. This can manifest itself in a simple blister or tissue edema, or an open pressure wound. This can be caused by ill-fitting footwear, or even bed linen. The prevention and management of pressure injury requires that the patient has pressure relieving surfaces on which to lay. The management of the wound itself will depend again on size, depth, tissue type, exudate, and presence of infection. Tables 1, 2, 3 indicate the products for management. The most common wounds found in palliative care include pressure injury, arterial/Ischemic wounds, neoplastic wounds, and surgical wound breakdown (Brink et al. 2006; Langemo and Black 2010). The main issues in palliative care are the management of the following factors. It is important to consider pain control as all wounds are painful and over time wounds may become more painful, the skin surrounding the wound can become sensitive and painful and for some patients, the lightest touch can be intensively painful. Analgesic medications are used to provide symptomatic pain relief; they do not modify the underlying cause of pain. Combining pharmacological and nonpharmacological approaches may allow lower drug doses to be employed. Selection of medication should be based on the highest likelihood of gaining pain relief with the lowest likelihood of side effects. The WHO analgesic ladder recommends simple analgesia for minor pain adding NSAID or codeine for more severe pain and opioids for major pain. The choice of analgesic will also depend on the pain type, nociceptive pain is managed with the standard analgesia as per the WHO pain ladder. Neuropathic pain, when there is associated nerve damage, is managed with specific medication including tricyclics and Gabapentin, Pregabalin and GTN patches, or ointment. Nonpharmacological methods include the use of relaxation methods, coping strategies, distraction, warm socks, legs down, and raising the bed head. The goal of analgesic therapy needs to be established as complete pain relief is rarely achievable when dealing with pain of neuropathic origin and the aim may only be to reduce it to tolerable levels. Pain management requires a balance between pain relief and the maintenance of function. Where wound pain is an issue then it must be established is the pain constant, intermittent, or only as dressing changes. Where dressing pain is the issue, then consider the careful selection of dressings for pain reduction, such as soft silicone dressings. Where the pain is more general, then in addition to any oral or systemic medication, topical treatment can be added. Topical analgesia includes opioids as patches or gels, capsaicin, local anesthetics (such as lignocaine). Topical morphine has been successfully used in the palliative setting the usual strength is 1 mg of morphine to 1 gm of sterile hydrogel, e.g., IntraSite gel. There is evidence for the use of topical Lignocaine from 3% to 5% (Braschi et al. 2017; Desai et al. 2014; Graham et al. 2013; LeBon et al. 2009; Peppin et al. 2015; Steele 2017; Woo et al. 2008). In addition to analgesia for pain management use a pain assessment form/scale and minimize procedural pain. If necessary, medication may be given prior to a wound care procedure and all involved should be aware of pain at dressing changes. It is also important to select appropriate dressings that are atraumatic on removal. It is helpful to develop guidelines to prevent tissue damage and to educate staff about pain/trauma with dressing. According to Gethin “Malodour is cited as one of the most distressing symptoms of these wounds, is a complex phenomenon with multiple potential causes, and may signify infection or necrosis. Malodor can cause depression, social isolation, nausea, anorexia and, in some individuals, a gagging or vomiting reflex.” (Probst et al. 2013, p. 48). The cause of malodor includes the presence of both anaerobic/aerobic bacteria but this does not always indicate infection The issue is that odor is a major problem often caused by bacteria often on the surface of the wound and not infecting tissue. Odor removal is very important as it impacts not only the patient but family and staff. The management of odor will depend on the cause. The most commonly used treatments are topical metronidazole gel that will kill anaerobic bacteria, topical antiseptics including silver and iodine dressings, and honey. The secondary method of odor removal is the use of absorption activated charcoal dressings as some come combined with silver and some with hemostats and absorbent fibers, see Tables 1, 2 (Akhmetova et al. 2016; Finlay et al. 1996; Haycocks and Chadwick 2014; Kuge et al. 1996). Exudate management is very critical, both to remove excess exudate and to prevent primary damage to the wound and secondary damage to the peri-skin. This is the skin around the wound that has an important function to aid in wound contraction it needs to be in good condition.. The type and level of exudate will impact on the choice of product to manage the exudate, see Table 1. Exudate is generated as part of the inflammatory response (Cutting and White 2006). It is essential to the healing process and, together with inflammation, should not be considered as a necessary evil but as a vital component of the reparative process. Exudate may be regarded as a transport mechanism, as plasma, from which exudate is derived, delivers all the necessary ingredients, oxygen, and nutrients to the tissues and organs of the body. Similarly, exudate on its way to the surface delivers these components to the wound bed. Traditionally, wound fluid has been considered a reflection of the internal wound environment and it has been used to monitor and reflect on the chronic status of a wound or to measure the efficacy of wound treatment. However, on closer inspection of chronic wound fluid, certain components of the fluid, particularly matrix metalloproteinases (MMPs) and their subcomponents (MMP-9) have been found to exist at higher levels in wound fluid than in the corresponding wound, and there is mounting evidence that much of the destructive effects observed in chronic wounds may be compounded by these components of the wound exudate which are corrosive in nature resulting in a continuum of extra cellular matrix (ECM ) breakdown, the ECM is the combined fiber structure providing tensile strength to the tissue. Additionally, an association has been made between high bacterial levels and elevated MMP9 in chronic wounds. It is also important to clearly identify both the volume and the type of exudate. The volume may be none, scant, small, moderate, or large and exudate appearance will vary including serous (clear, watery consistency), fibrinous (cloudy, contains fibrin protein strands), purulent (contains pyogenic organisms and other inflammatory cells), Hemo-purulent (contains neutrophils, dead/dying bacteria, and inflammatory cells damage to dermal capillaries leads to blood leakage), and Hemorrhagic (blood is the major component of this type of exudate) (Chadwick and McCardle 2015; Cutting and White 2006; Tickle 2015; Vowden et al. 2015). Where the exudate is very large and there is a need to change the dressings multiple times a day to keep the cost in check then the use of continence pads can be used. It is, however, essential to apply a contact material over the wound such as modern tulle or silicone tulle dressing first so that the pad does not come into direct contact with the wound. See Tables 1, 2, 3 (Sussman 2014; Weller and Sussman 2006). Where bleeding is present in the wound, the simplest method is to apply firm pressure over the area. The use of hemostatic agents, such as a calcium alginate, will help speedup the process of clot formation. The use of topical adrenaline for vasoconstriction in severe/terminal bleeding has been found to be helpful. It is essential to establish if there is any blood vessel damage, and if there is, prompt medical intervention is mandatary. It is also helpful to ascertain whether the patient is taking any anticoagulation medication. See Table 3 (Terrill et al. 2003). If the wound is basically clean, then water or saline are most suitable. If there is any level of contamination, a surfactant solution such as QV Wash™ or some similar product is the most satisfactory, due to the ability of the product to remove material by a soap-like action without altering the acid pH of the skin. The use of topical antiseptics have a place in acute wounds, it is entirely different from that used in chronic wounds. In a traumatic wound, the risk of infection from contamination at the time of wounding is very high. In general, chronic wounds do not require the use of topical antiseptics unless they are heavily colonized or infected then the use of the less toxic antiseptics, e.g., Polyhexamine methyl biguanide (PHMB) are indicated (Cutting 2010; International Wound Infection Institute 2016). The management of a wound must start with appropriate cleansing with minimal trauma palliative wounds often have fragile tissue. If there is slough present, if possible gentle debridement is helpful. The choice of product will depend on the wound itself in particular the level and type of exudate. It is essential to prevent wound contamination and infection. The role of wound products is to control the wound environment and to protect damaged and healing tissue and the peri-skin. In palliative care, it is pivotal to ensure patient comfort. Dressing selection is important for management of the wound environment and the dressings choices overwhelming will take a function-based approach for selection. In general, avoid adhesive dressings other than those with a soft silicone adhesive due to the fragile nature of the skin. The secondary considerations are the specific wound properties. A deep cavity wound needs to be gently packed to fill the dead space and absorb exudate if dry then packing with a hydrogel is appropriate. Wounds that are locally infected or heavily contaminated need a topical antiseptic. Wound related pain and other patient comfort issue must be addressed. Care must be taken at dressing changes to minimize wound trauma and pain. When applying a dressing allow 2–3 cm of dressing greater than wounds, this will enhance the product wear time. Place one-third above and two-third below the wound, this will allow the greatest surface area for exudate absorption. The dressing should remain in place for as long as possible, only remove when strike through occurs. With older patient or those with fragile skin, remove the dressings with great care; if necessary remove under the shower. The choice of management product may change as the condition of the wound changes. Neoplasia both directly and indirectly play a major role in palliative care. Many patients with terminal cancer of various types are referred to palliative care services. Some specific neoplastic wounds such as fungating breast cancer are a challenge to manage. They are painful, exudating, malodorous, and tend to bleed and may hypergranulate. Squamous Cell Carcinoma (SCC) can develop in nonhealing wounds and these are called Marjolin Ulcers SWCC’s and some will metastasize. There are many forms of treatment for skin cancer but surgery is the most successful treatment, radiotherapy and intralesional interferon are also used, however, surgery is the only suitable treatment for SCCs and melanoma. Management of these wounds is complex specific issues such as management odor and bacteria are addressed in Table 3 (Addison and Richard 2014; Merz et al. 2011). Skin integrity reduces with age and disease, dermal thickness is reduced, there is a weakened dermal-epidermal junction. The level of vitamin D, collagen, and moisture is reduced. Migration of capillary epithelial cells, epidermal turnover is reduced, and fragility of capillaries is increased. There is also a compromised inflammatory response and concomitant illnesses and many medications impact on both skin integrity and on healing. It is important to ensure that all patients receive good skin care and their skin integrity is assessed regularly; the greater the emphasis on skin protection and integrity, the significant reduction in the risk of skin breakdown. Good skin care can have a significant impact and reduce skin damage. Adequately hydrating dry skin with effective moisturizing agents, ointments, lotions are better than creams and should be used twice a day on dry skin areas and extremities (Peppin et al. 2015; Sussman 1998). The essential aspect of the use of skin moisturizers is to ensure that the moisturiser used is ones that will not cause a greater loss of moisture through the skin or damage skin cells. Aqueous creams are known to increase transepidermal water loss and dry the skin; some aqueous creams have also been shown to be cytotoxic (Carville et al. 2014; Greive 2015; Kempf et al. 2011; Mohammed et al. 2011; Tsang and Guy 2010). The management of palliative wounds should be the first and foremost patient comfort and symptom reduction. The patient and the absolute requirement for quality of life is to ensure the symptoms which impact not only on the patient but on the patients family, and the treating staff are managed to ensure the lowest impact (Graves and Sun 2013).